What to Take and When to Take It! Protein powders have come a long way since their beginning. At one point, there were few choices and few flavors. Your options were limited, and what’s more, protein powders were chalky, didn’t dissolve well and were typically made only from whey protein. Today, there are many different protein powders to choose from, and they are full of flavor, mix instantly, and are made from a variety of sources including pea, soy, brown rice and derivatives of whey to name a few. Your goals are and diet can determine which protein will best fit your needs and when you should consume it. Research and technology have brought protein powders a far way to elevate your options. Protein powders now come equipped with the latest and greatest muscle-building supplements to further enhance muscle needs and drive protein synthesis. They are now formulated to be the perfect and convenient meal in a quick and easy shake. 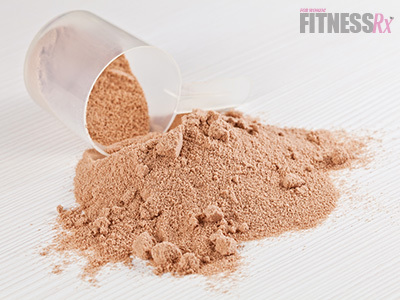 Read below to determine which protein powder best serves your goals for a lean and firm body. This protein still remains the number one in terms of quality and bioavailability. Whey has the highest proportion of branched-chain amino acids, or BCAAs, including isoleucine, leucine and valine, which are critical for driving protein synthesis. They are considered the building blocks to produce amino acids that are used to build muscle tissue. Whey is an extremely fast digesting protein and highly soluble, making it the perfect protein for after a workout to restore protein synthesis. In fact, studies have shown that whey protein can stimulate anabolism or muscle building post-workout. Whey protein comes in a few options- concentrate, isolate and now hydrolysate. Concentrates are less expensive, contain higher levels of lactose and fat, and yield less protein- approximately 80 percent protein for every 100 grams. Isolates and hydrolysates are more expensive, lower in fat and lactose, and have a higher protein content from a gram-for-gram perspective. This protein is an extremely slow digesting and rich protein source separated from milk by means of ultra-filtration. Casein contains a high amount of bioactive milk peptides that support immune function as well as enhance muscle growth. Casein’s unique properties allow it to form a gel in the gut, causing a slow and steady release of amino acids over a long period of time, thus making it an excellent, long-lasting anti-catabolic protein. In fact, studies conducted on casein protein have demonstrated it to sustain steady amino acid elevations for up to seven hours after ingestion, making this protein an excellent choice for preventing muscle breakdown, and it should therefore be taken as a nighttime protein to aid in growth and repair during sleep. Soy protein, just like whey protein powder, contains all the essential amino acids, which are the ones needed for protein synthesis and repair. However, soy protein is not as bioavailable as whey protein. Soy protein’s constituents, including saponins, support healthy immune system function and combine with cholesterol to reduce its absorption into the body through the small intestine. Phytosterols have also been shown to help maintain healthy cholesterol levels. Soy is also high in antioxidants, making it great for post-workout recovery. Soy protein is also a great option for vegetarians or for those of you who are lactose intolerant. A single serving of soy protein powder provides 20 to 25 grams of protein per serving. This medium digesting protein powder is fat and cholesterol-free, and contains an abundant amount of amino acids, and is particularly high in arginine. This protein is typically combined with other protein powders in a blend. It can also be purchased on its own, but it is a pricey protein powder. Since this protein digests at a slow rate, it is best used during the day as a snack between meals, and should not be used post-workout. Boirie Y, Dangin M, Gachon P, Vasson MP, Maubois JL, Beaufrère B. (1997). Slow and fast dietary proteins differently modulate postprandial protein accretion. Proc Natl Acad Sci. 94(26):14930-5. Paul GL.(2009). The rationale for consuming protein blends in sports nutrition. J Am Coll Nutr. Suppl:464S-472S. Review. Tang JE, Moore DR, Kujbida GW, Tarnopolsky MA, Phillips SM. Ingestion of whey hydrolysate, casein, or soy protein isolate: effects on mixed muscle protein synthesis at rest and following resistance exercise in young men J of Appl Physio: 107(3): 987-992. Wilson J, Wilson GJ. (2006). Contemporary Issues in Protein Requirements and Consumption for Resistance Trained Athletes. JISSN. 3:7-27.